Small-scale hydro (100kW to 5MW installed capacity) is highly efficient and where suitable sites are available, it remains one of the cheapest forms of renewable electricity per unit. Small-scale hydro has a key role to play in the development of the world’s renewable energy resources. Clean and reliable – it is a valuable resource just waiting to be utilised. 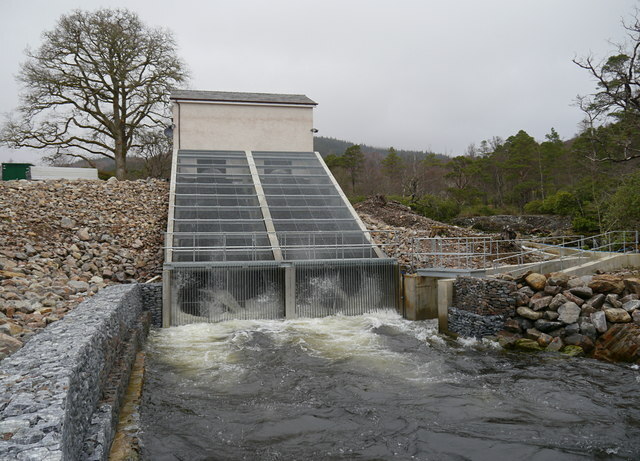 Small Run of River hydro projects use the natural downward flow of rivers and relatively small turbine generators to capture the kinetic energy carried by water. Typically water is diverted from a river and fed down a pipe on a section where there is a significant drop in elevation. The water is passed through a turbine generator where the potential energy in sthe water is converted into kinetic energy via the mechanical turbine and re-enters the river at a lower point. Installation of run of river systems do not ususally require a reservoir or dam and are a relatively cheap to build and have minimal environmental impact. Run of River systems have the advatages of a long operational life time, in excess of 25 years, with minimal maintenance. Also these sytems tend to generate the most electricity in the colder months when the demand is greater for electrical heating and extra lighting.